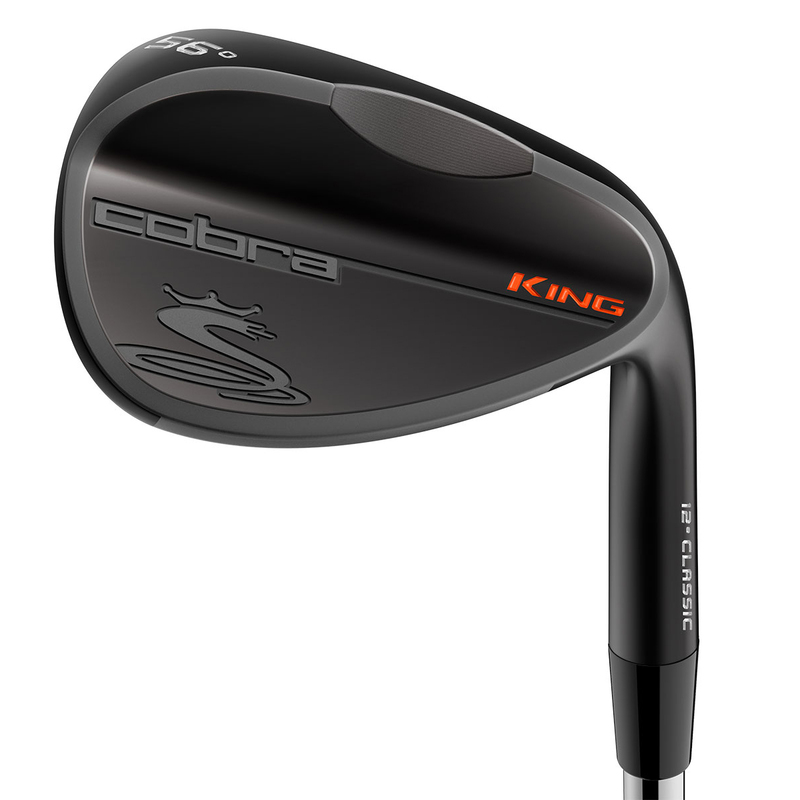 Get to grips with your short game this season with this highly impressive King Black wedge from Cobra. This wedge has been constructed from plated 8620 carbon steel, with a highly durable Diamonized Black Metal finish for long lasting good looks and performance. 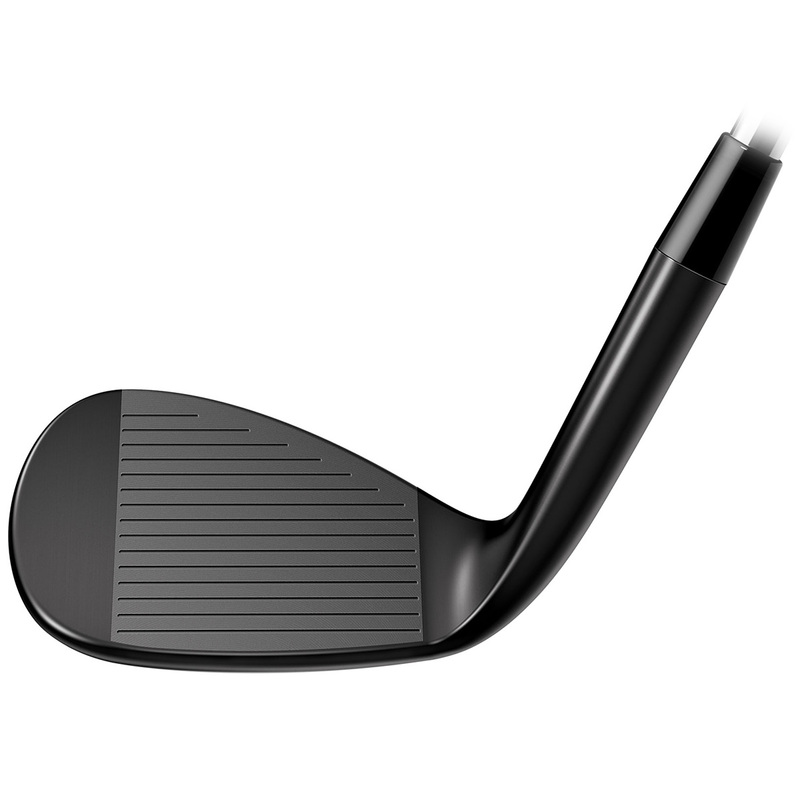 The wedge has a muscle back design which dampens vibration, and further improving the harmonics to provide a soft and solid feel at impact. These wedges have been created with cutting-edge Progressive Milled Grooves which feature wider grooves and closer gapping on higher lofted wedges, and traditional thinner, deeper grooves on lower lofted wedges. The wider groove design allows higher lofted wedges to grab the ball to impart more spin, and make spin performance more consistent throughout the wedge set. The 100% CNC high precision grooves are combined with Variable Face Roughness (VFR), a face milling technology that maximises both RA (average roughness) and RY (max peak-to-peak depth) to the USGA limit, delivering more control and precision on green-side shots. This wedge is equipped with a tracking system, powered by Arccos, and can be paired to your smartphone via a free Arccos smartphone app. This system automatically tracks your distance and accuracy of every shot, so you can review performance data, and have access to over 40,000 golf courses worldwide with GPS data. The Classic grind has a high sole bounce and progressively wider sole from heel to toe for ease of use on all turf conditions. The wedge is complete with a standard True Temper Dynamic Gold S200 shaft and a Lamkin ACE Crossline grip.